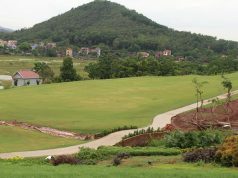 Located 17 km south of Hoi An, Vinpearl Golf Nam Hoi An is 18 holes Par 72 golf course with 7125 yards designed by IMG Worldwide is part of a 200 hectare resort development that includes a 5 star beachside hotel, tropical villas, water park, theme park and agricultural center. 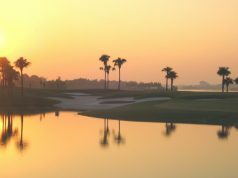 There is a wide variety of golf holes, with a pleasant mix of long and short Par 3’s, Par 4’s and Par 5’s, including two drivable Par 4 holes, one on each Nine. A links style course along with features of white sand bunkers. The large fairways have plenty of width so golfers of all skill levels will enjoy their round of golf and gently rolling greens will be interesting but not overly challenging for putting.internationally and domestically. With a favorable location between two world cultural heritages: Hoi An Ancient Town and My Son Holy Land, which have been recognized as “World Cultural Heritage” by UNESCO. 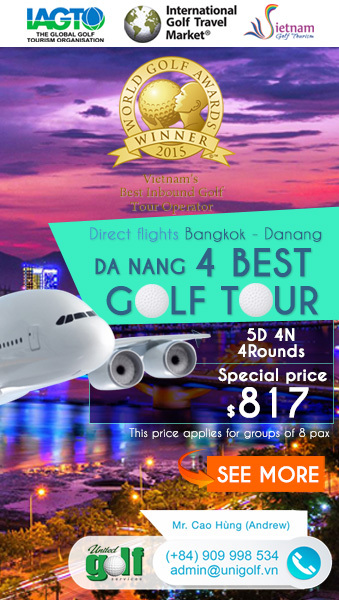 Only 30 km from Da Nang International Airport, 44 km from Da Nang city center. 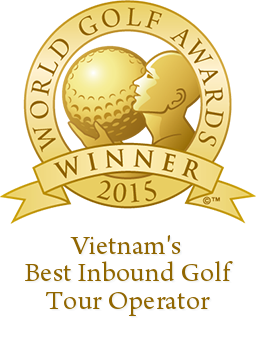 Vinpearl Golf Nam Hoi An promises to be an attractive destination for all golfers both internationally and domestically. Amusement park, water park, river safari provide a plentiful experience with full facilities for customers. Top-class Asian oriented customer services. 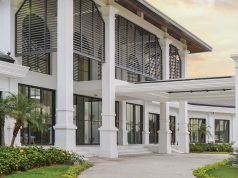 Vinpearl Golf Nam Hoi An is located in the heart of Vinpearl Nam Hoi An Resorts & Spa, which is known as a beachfront paradise with 429 hotel rooms and 132 ocean-themed villas bringing a feeling of peace and tranquility for the guests. In addition to Vinpearl Nam Hoi An also offers a wide range of leisure and entertainment experiences at Vinpearl Land (Water Park & Theme Park), River Safari (wildlife sanctuaries by river), VinEco, and Akoya Spa.